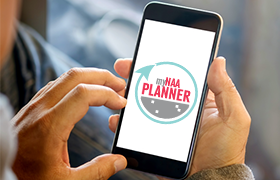 NAA offers a variety of educational formats to ensure there’s something for everyone. As the founder of the street portrait blog, Humans of New York (HONY), Brandon has emerged as a worldwide internet phenomenon and one of today’s most influential storytellers. With millions of social media followers, his individual story, like those on HONY, illustrates the power of the internet, the value of storytelling and our desire to remain connected with real people in a tech-driven world. Stanton’s gift for storytelling has since spawned two best-selling books, “Humans of New York,” which spent 45 weeks on the New York Times bestseller list, and “Humans of New York: Stories.” Listeners take away a renewed appreciation for the power of one person and one idea to inspire millions, and encouragement to be a force for good and contribute something meaningful to the world. What Does It Mean To Be An American Today, And What Are We To One Another? Heather McGhee is an expert in economic and social policy, racial healing, and transformative organizational change. More than that, McGhee is a storyteller. Her talks ask audiences to consider—at a time of increasing diversity, who is an American, and what are we to one another? During the past fifteen years, David Rendall has spoken to audiences on every continent. His clients include the U.S. Air Force, Australian Government, and Fortune 500 companies such as Microsoft, AT&T, United Health Group, Fannie Mae and State Farm. Prior to becoming a speaker, he was a leadership professor and stand-up comedian. He also managed non-profit enterprises that provided employment for people with disabilities. In between presentations, Rendall competes in ultramarathons and Ironman triathlons. Judi Holler is a professionally trained improviser and alumni of The Second City Conservatory in Chicago. She started working in the hospitality industry at the age of 13 and spent 15 years working in the convention and meetings industry, specializing in sales and marketing for companies like Marriott, Omni and Starwood Hotels before starting her company, HOLLA! Productions, in 2013. Holler is a past president of Meeting Professionals International, Chicago Area Chapter and was named one of the 40 under 40 in the meetings industry by Connect magazine in 2015. Mary Kelly Ph.D., CSP, U.S. Navy (Ret.) is an internationally known economist and leadership expert specializing in the fields of leadership, productivity, communication and business profit growth. Kelly is a graduate of the U.S. Naval Academy and holds a Ph.D. in Economics. She has held numerous positions in the military, including Naval Intelligence Officer, Human Resources Director, Assistant Chief of Staff Officer and Chief of Police. Currently, in her role as a consultant, she provides creative and insightful problem-solving tools that enable her to transform corporate cultures and structures. Kelly is the author of 10 books and has been quoted in hundreds of periodicals including Money Magazine, Entrepreneur and The Wall Street Journal. *This Game Changer session is included in the Executive Exchange Program. If you are an executive, join us in an enlightening discussion to advance your career path, experience topics to enhance your leadership skills and network with peers. To participate, add the Executive Exchange Program (free of charge) to your full conference registration or one-day Friday registration. Alli Webb founded Drybar in 2010 following 15 years as a professional stylist. After leaving the professional hair workforce in 2005 to start a family, she decided to find a way to continue pursuing the creative side of hairstyling at a new-mom pace. Webb began offering weekly in-home blowout services to all her mom friends, but her little side business quickly grew into more than a part-time gig. Since 2010, Drybar has since expanded to 100 locations throughout Los Angeles, New York, Las Vegas, Boston, Dallas, Houston, Chicago, San Francisco, San Diego, Atlanta, Philadelphia, Washington, D.C. and Vancouver, BC.